Two side tents are available. One is silver with black accents. The other is green with black accents. 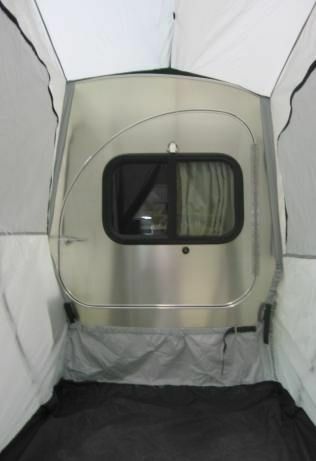 Side tent has screened windows on both sides and a screened door for maximum ventilation. The windows have flaps that can be zipped up for privacy or to keep out the rain and wind. The front door zips for privacy or inclement weather. 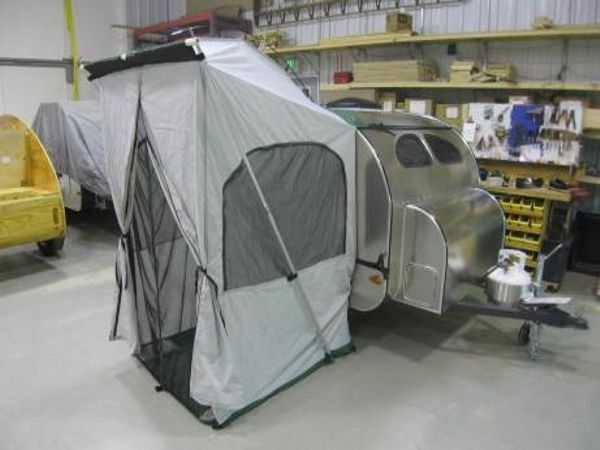 The side tent can attach to either side of the trailer. The side tent is 42in. x 48in. and is 6'2" tall inside at the peak. 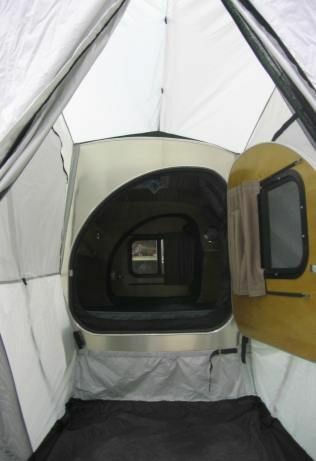 The side tent attaches around the door opening. 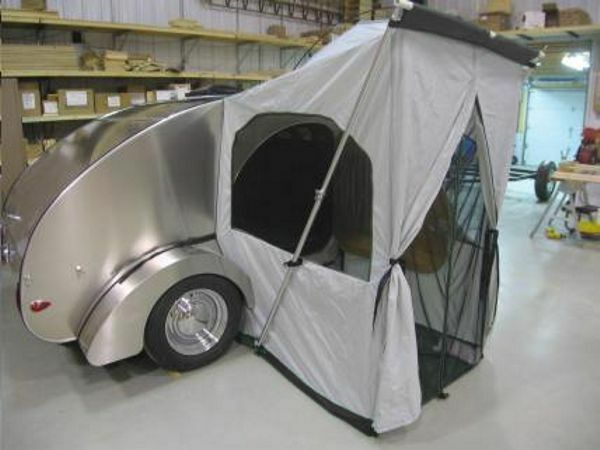 It has a skirt that covers below the trailer to make a complete enclosure. 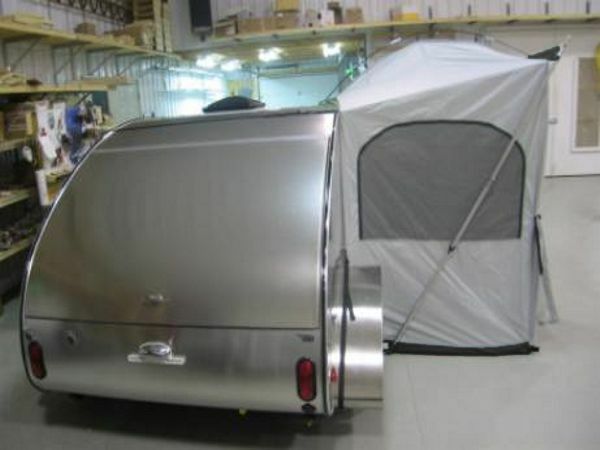 An elastic strap holds the trailer door open. 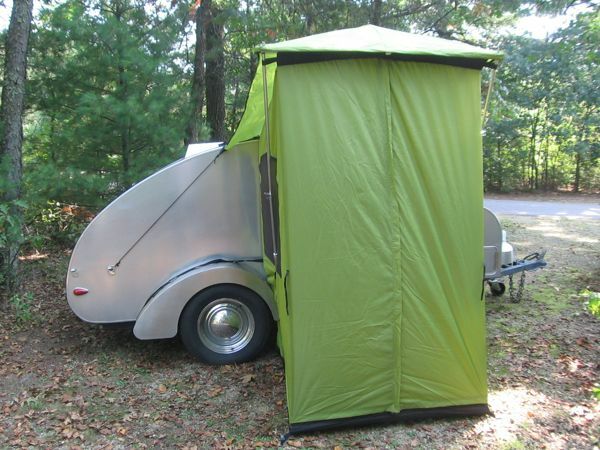 Both silver and green tents come with a rain fly. The Side Entrance Tent sheds water all by itself but the Rainfly gives you an added level of protection. P.S. 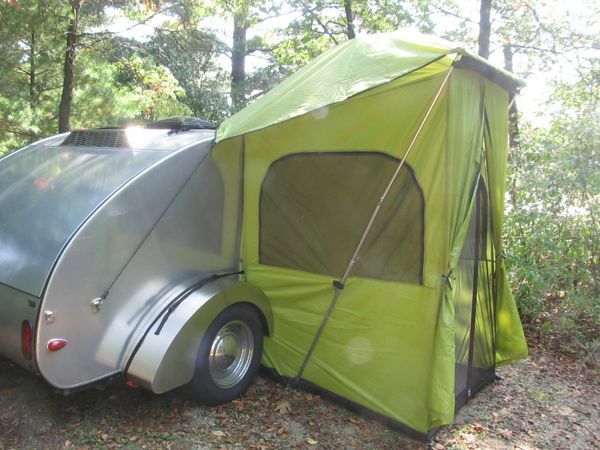 Our tent will work with many other teardrop designs/manufacturers. 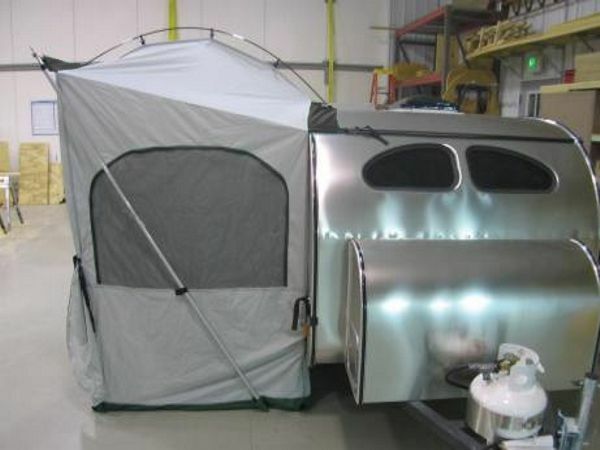 The teardrop must be between 11"-16" from the ground to the body. The sidewalls must be 46"-50" tall. 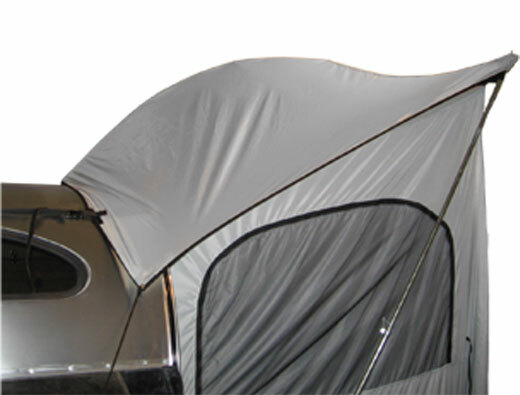 The area around (especially below) the door must be free of obstructions that will interfere with the tent (like fenders or running boards). CLICK HERE To ORDER tent.